Dementia is an umbrella term that can be used to describe a range of progressive neurological disorders. More than 353,800 Australians suffer from some form of dementia. It’s more common among women, with 60% of reported cases being females, and 75% of sufferers are aged 75 or older. Experts have predicted that by 2050, there will be more than 900,000 dementia cases in Australia at any point in time, which makes the treatment of dementia more important than ever. Memory problems, including issues with short-term memories, and difficulty processing new information. Dementia sufferers often experience confusion with names and can get lost in familiar places. Cognitive ability is often affected, as sufferers are easily confused in unfamiliar environments, have difficulty orienting time and place (they might get up for work at midnight), and often have trouble focussing and concentrating on set tasks. Communication can also be impaired. People with dementia will often repeat themselves, have trouble finding the right words, and reading and writing can become challenging. It’s also common for people with dementia to get moody, anxious and even depressed, which often makes them distance themselves socially. This is the most common form of dementia and affects memory, cognitive ability, insight, language, and spatial awareness. Sufferers may experience poor memory function, have trouble recalling specific events, and experience general forgetfulness. Usually a result of small strokes that cause pockets of cell damage in the brain, vascular dementia is the second most common form of dementia. Memory may not be affected as badly as it is with Alzheimer’s, however, difficulties with language and communication can be more severe. It is possible to have a combination of vascular dementia and Alzheimer’s, which is known as mixed dementia. Fronto-temporal dementia is a gradually progressive condition that mainly affects behaviour and personality. The regions of the brain which are most affected are those in the front of the brain, just behind the forehead. This form of dementia is more commonly, but not exclusively, found in younger people, between ages 45 and 65. It is a relatively uncommon form of dementia and can be difficult to diagnose. Fronto-temporal dementia can cause disinhibition and inappropriate behaviour, particularly in public. Eating patterns can also be affected, with people suddenly ‘bingeing’ on food. This form of dementia may be confused with depression, psychosis or obsessive-compulsive disorder (OCD). 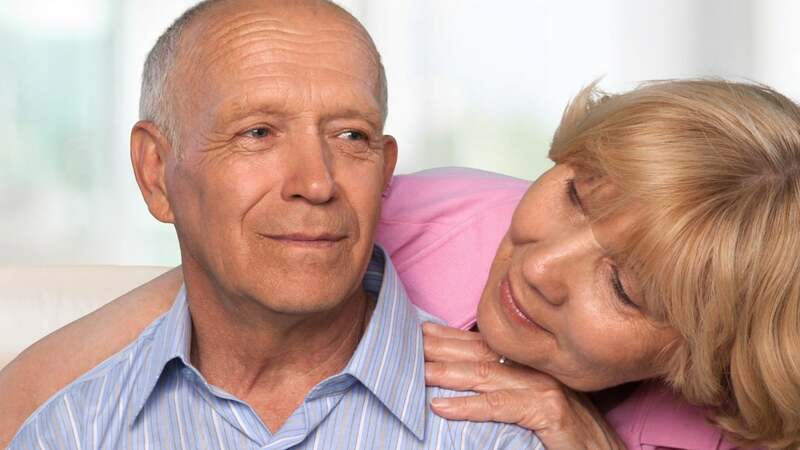 This type of dementia can often be problematic, as the diagnosis is usually unexpected and it can create financial strain in families, as the sufferer is unable to work and their partner will often have to take on a carer’s role. How can a person with Alzheimer’s disease or dementia benefit from rehabilitation if they struggle to recognise their own family or places that should be familiar to them? This is a very common question. Physical therapy, occupational therapy and speech-language pathology services can be beneficial to the person with dementia, as well as their family and caregivers at various stages of Alzheimer’s or dementia. In the early stages, rehabilitation services can help your loved one be as functional as possible for as long as possible. The focus of physiotherapy (PT) with dementia care is to improve balance, muscle strength, mobility, and provide pain management. Another goal of PT treatment is preventing falls. People with Alzheimer’s or dementia are at greater risk of falls and mobility problems due to muscular weakness, history of falls, gait, balance deficits and cognitive impairment. Safe physical activity, including exercise, will maintain strength, balance, ability to walk, and ability to get in to or out of a chair or car. Occupational therapists can also assist you in enhancing your loved one’s environment. This can be achieved by making certain environmental modifications, such as adding signs to bathroom doors and labelling drawers. This can help people with dementia function at the highest level possible for longer. Occupational therapists can also help with everyday tasks like going to the toilet and showering, as they can provide instruction on how to approach these tasks in the easiest, most stress-free way possible. If you have further questions or enquiries regarding professional assistance in overcoming dementia of any type, please don’t hesitate to contact us at On The Go Rehab. We have a team of experienced occupational physiotherapists who can provide valuable help for sufferers and their families.